Ok… I am in my fourties. It means that many of my friends are now grandparents, myself included. I have a wonderful little grandson and another on the way. As a writer I understand the power of words, and also of names… But I never expected that I would be one who would panic over what my grandchildren called me. I think I didn’t even think that I would be able to be in their lives enough to be called anything. So when my son asked me what I wanted his children to call me… Well I will admit… I panicked. My own grandma’s were Grandma, but I went with Momo, after my paternal great grandmother. It took more thought than I expected it to. And I am seeing many of my friends going with Gigi. Makes me wonder why. What the history behind their choice is. I also find myself wondering why there is so many names for the same familiar connections. Not only for grandmother, but for mother, father, and grandfather too… I understand that many are from different languages and different cultures… But I wonder about the different ones in just English. It’s one of those weird curiosities… So for those who are grandparents… What does your babies call you? I am pleased to report that for the next five days, my Kaiju novella, Karmathaur, will be FREE on Amazon Kindle! When we progress through life, we may face stages where we feel we have hit a brick wall. This brick wall is a boundary we have that stops us from expressing our fullest and truest self. This brick wall is metaphorical of when we have old beliefs that limit us or that relentless inner critic who constantly interrupts your life. 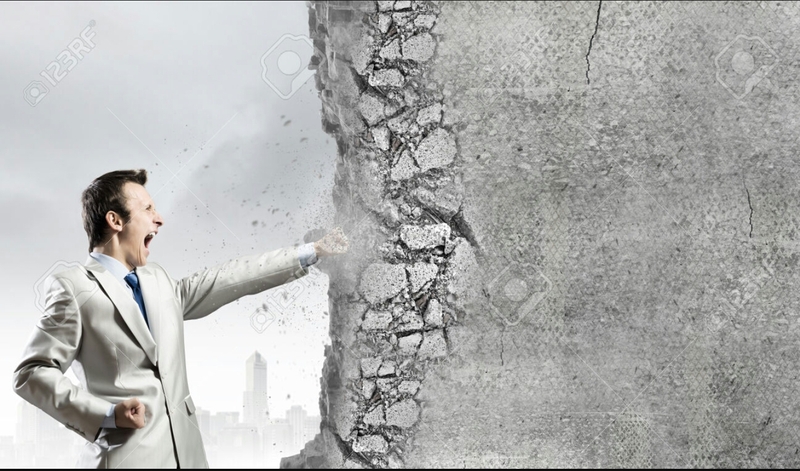 We cannot break this wall through sheer might, since this will feed the frustration you have against yourself. So then how do we face this inner demon? Clear your mind and accept what you feel without resisting it. Then once the mind has become open, it then has the capacity for new thoughts and beliefs to replace the old ones. I think that I have been improving over the last few years. The first picture is the cover I did for the poetry volume I published in 2013…. the second is the cover that I did today as I am going through and cleaning up the layouts on my poetry volumes. I see a huge difference. Time and learning helps make a better and more professional image… But it is also that I am not the same person I was then. I have been reading the poems that I wrote for those original volumes…. My words then are not who I am now. So I look forward to seeing who I become as the years ahead approach. And may it mean that I continue with verse and words to share with the world at large. By second grade I learned to write well enough to make short sentences. My teacher wrote that they were “Very good”. So, I wrote more and I showed them to her. She gave me another sheet of paper which encouraged me. My third grade teacher was less impressed. I stopped showing her what I wrote. That gave her more time to focus on what was bothering her. I am older now than either of those teachers were and I realize that I’ve been like both of them at different times of my life, sometimes unreasonably patient and other times unforgivably impatient. Looking back. I forgive the impatience in my third grade teacher and hope I can forgive it in myself as well. I understand the many reasons for impatience that torment adults. I hope her life was happy because today she looks more like my daughter than a teacher.